TU Delft and academic partner University of Campinas (UNICAMP) have initiated a dual degree PhD program aiming at 25 dual degree PhD students in 2020 and about 100 in 2025. A dual degree PhD student enrols in both universities with two supervisors, to produce one thesis and receive a degree from both universities after a successful defence. A limited number of unique TU Delft scholarships are available for such projects, in addition to regular funding options from several Brazilian and Dutch public and private sources. More projects and Dual Degree programs with other academic partners are currently under development, primarily focused on biobased economy. For (UNICAMP or TU Delft) students who are interested, an important first step is to have a supervisor at both universities with matching interests and suited facilities. 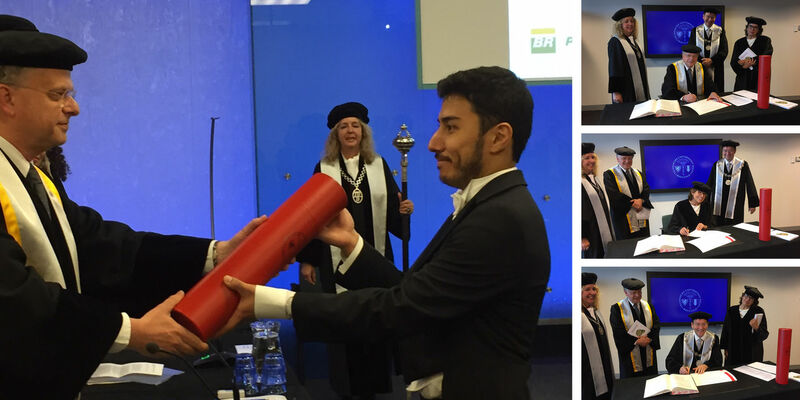 Find more information on dual degrees, the process to initiate such a project and for support to find a supervisor at the partner university on the Dual Degree Fellowship website and/or contact the TU Delft Brazil office.